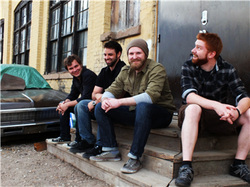 The Good For Naughts are a folk rock and alt-country band based in Guelph, Kitchener and Toronto. The focus is melody, harmony and smart song writing. But most important of all is the band's desire to have an emotional impact on you, the listener. You should feel it, not just hear it. The Good For Naughts is the brain child of singer/songwriter James Murray. 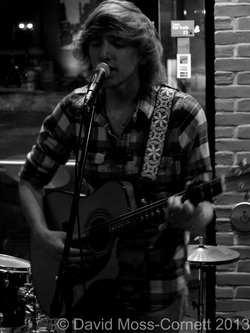 After graduating as the top student from the University of Guelph Honours Music Program, James moved to Toronto, Ontario and formed two Toronto based bands playing regularly at clubs such as The Kool Haus, Lee's Palace, The Rivoli, The Hard Rock Cafe and Healey's Roadhouse amongst others. Eventually, James moved back to his hometown of Guelph, Ontario to form "The Good For Naughts". The Good For Naughts took off with the addition of guitar player Nick Iden. Nick is also a recording engineer and music producer, and the band recorded their debut self-titled album with Nick in his studio at Brixton Music Inc. in Kitchener, Ontario. ﻿Professional﻿, Mike Holtom was added on drums, and Humber Music graduate Tim Smith was added on bass guitar. In addition to their full length debut album, the ban﻿d recently released their second album, "No Great War," which has garnered much positive feedback. The band describes the new material as a logical and organic progression from their debut album which pushes them deep into the folk and alt-country genres while still remaining an indie rock band. The band is touring Ontario and Quebec in March in support of their latest release. SummerFolk Youth Discoveries veteran, local musician, Jack Darby is a treat to listen to. Mossy Gatherings found him there and was very impressed with his performance. We are happy to have Jack with us this night. 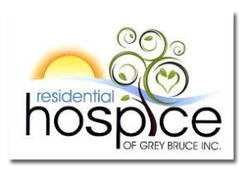 A portion of the proceeds from this show will go to the Residential Hospice of Grey Bruce. Our community hospice is a centre of excellence with a multidisciplinary team, providing compassionate, dignified, patient-centered care to individuals with a progressive life-limiting illness, empowering them to live well while dying. A: Jamie started the band by recording the first, self-titled, record at Brixton Music in Kitchener. Guitar player, Nick Iden, runs Brixton Music and joined up with Jamie after the release of the first record. The band took off from there. Permanent bass and drums were added and the band began to work on the material which forms the bulk of the new record. A: Oh boy..... That's a hard one. All the guys in the band have vastly different influences. Everything from jazz and classical, to metal and old school punk rock. As far as Jamie's song writing specifically, in particular the latest record, influences are a mix of folk and country. Neil Young, Blue Rodeo, Willie Nelson, Ray Lamontagne and John Prine to name a few. Q: What's your earliest musical memory? A:"We'll let Jamie answer this one. His earliest musical memories are either receiving his first Walkman with the cassette tape INXS Kick. Or going to the a Bryan Adams concert at Maple Leaf Gardens for the Waking Up The Neighbours tour." Q: What's your best road story? A: Hmmmm...probably when Jamie's pants started falling down during one of the sets. Someone in the crowd had to point it out. Jamie played the rest of the set while holding his pants up. Oh well....the show must go on!! Q:Which member(s) of the band do the songwriting? A: Jamie comes to rehearsal with the songs written and demoed and then woodsheds them with the full band. The process actually works out really well and tends to add a lot more depth to Jamie's songwriting. Q: Where's the farthest you've travelled for a gig? A: Soon to be Owen Sound and we couldn't be more stoked about it!!!!! !